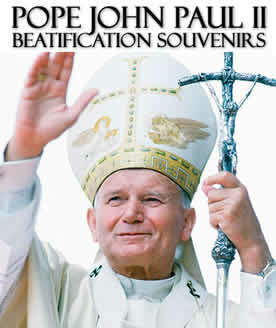 Religious Jewelry, Free Holy Cards & Free Rosaries! 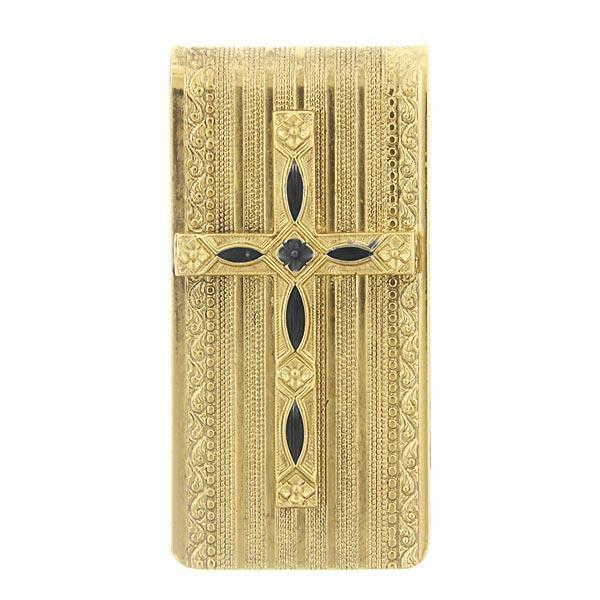 inspired by renowned, yet seldom viewed works of art from vaults of the Vatican Library collection in Rome. 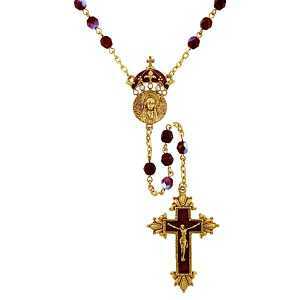 FREE Luminous Rosary & FREE Holy Card with every Vatican Jewelry piece. 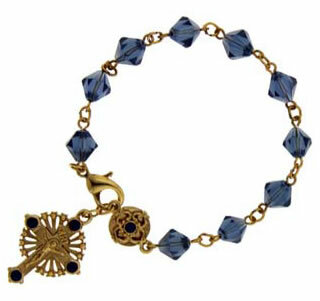 VaticanJewelry.com presents authentic Vatican Jewelry from The Complete Vatican Library Collection, at Discounted Prices, with FREE Rosaries & FREE Holy Cards! 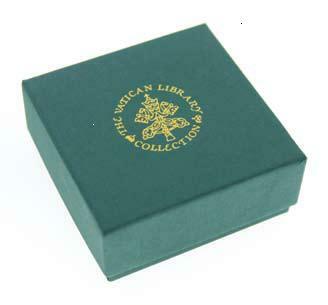 This is the exquisite line of Catholic Jewelry and Religious Jewelry authorized by the Vatican, The Vatican Library Collection, presented in classic, green gift boxes with a gold embossed Vatican emblem. 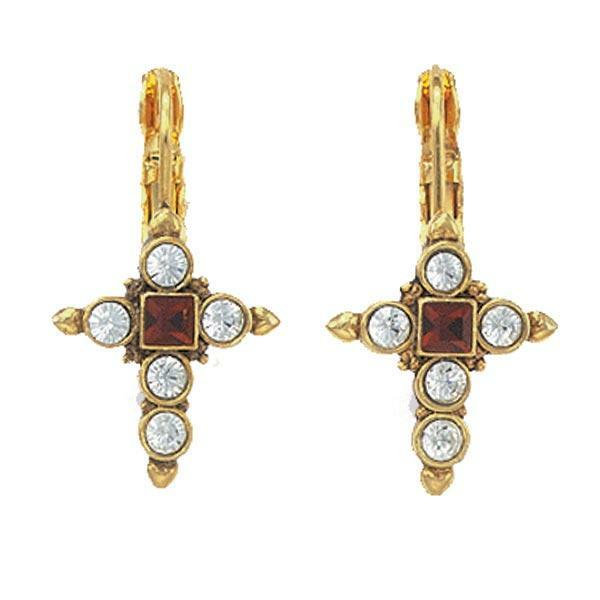 This unique and stunning Catholic Jewelry collection embraces the sacred details taken straight from the deepest vaults of the Vatican Library. The Vatican Library, heir to the ancient papal libraries, is one of the world's greatest repositories of Medieval and Renaissance manuscripts and incunabula (books before 1501 A.D.). The artistic strengths of The Vatican Library Collection are found in the magnificently frescoed Sistine Chapel and the sacred antiquities of the Museo Sacro and Museo Profano. 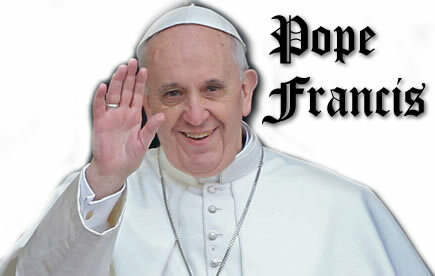 Drawing on these resources, the Vatican Jewelry Collection was created. 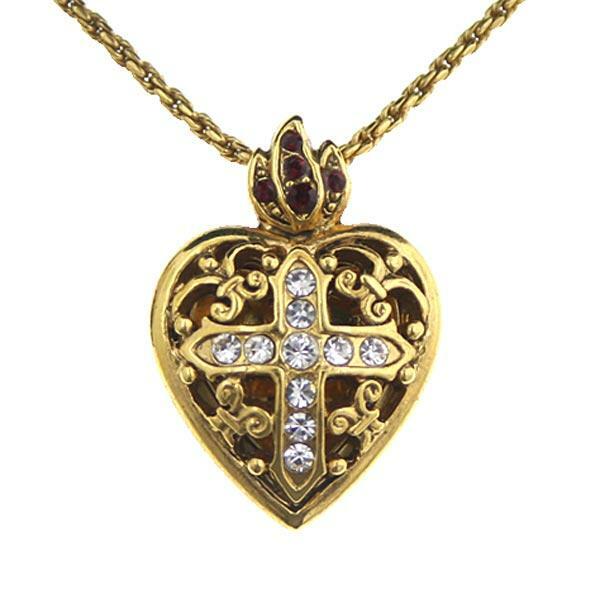 This stunning line of faith-oriented Catholic jewelry and religious gifts was inspired by these renowned, yet seldom viewed, works of art. 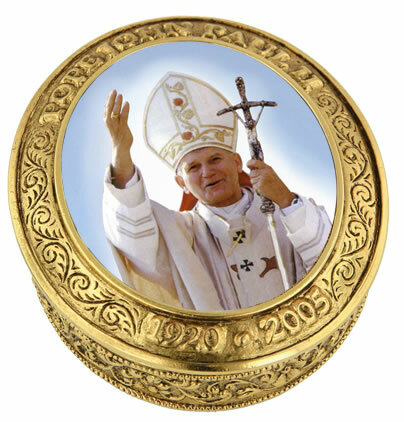 This inspirational Vatican collection offers jewelry pieces that are sure to uplift your spirit with Vatican Medals, Beautiful Brooches and Pins, Breath-taking Necklaces, Etched Crosses & Engraved Crucifixes, Hand Strung Catholic Rosaries, Hand Enameled Jeweled Rosary Boxes & Pill Boxes, Stunning Bookmarks, Unique Earrings, Heavenly Bracelets, Pope John Paul II Commemorative Jewelry, Bejeweled Pens, Money Clips, Men's Catholic Gifts, Faith-inspiring KeyChains, Religious Charms, and don't forget the Great Close-outs! Pope Sixtus IV (1471–1484) was the library’s founder. The nucleus of the present Vatican Library consists of Pope Nicholas V collection of ancient texts, some dating from medieval times, of more than 1,500 manuscripts. At the time of his death, in 1455, his collection was the greatest in Europe. Today, the Vatican Library houses more than 70,000 volumes of manuscripts, 100,000 individual autographs, about 7,000 incunabula, 100,000 engravings and maps, thousands of parchments, and tens of thousands of archival volumes and files. Busts and statues of the Roman period, papal busts, terra-cotta models, exceptional Byzantine and Romanesque ivories, textiles and vestments dating to the earliest centuries of the Church, frescoes and ancient paintings by major artists, and the incomparable Treasury of the Sancta Sanctorum with it’s Medieval reliquaries—these are some of the glorious treasures that together form one of the great wonders of the world. These priceless works of art that have been accessible only to qualified scholars—UNTIL NOW! Mixed Metal St. Christopher Medal and Charm Toggle Necklace 16" Adj. email: webtradeinc@frontiernet.net phone: 928-757-7577 Copyright © 2001-2015 VaticanJewerly.com. All rights reserved.